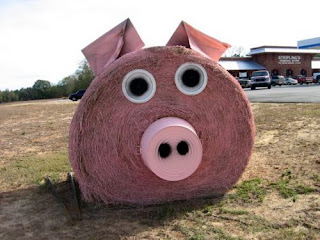 This may be lost on you city kids, but courtesy of Planet Oddity here are some fun things you can do with a lot of free time and some hay (that's the dry baled stuff livestock eat). Click through to see them all. Come back to comment and let us know which is your favorite!